The 2018 Infiniti QX60 3.5 AWD offers superior fuel economy without sacrificing interior space. For 2018, Infiniti decided not to release a hybrid model of this popular and highly-awarded crossover, instead opting to focus on updating the QX60 3.5 AWD model. 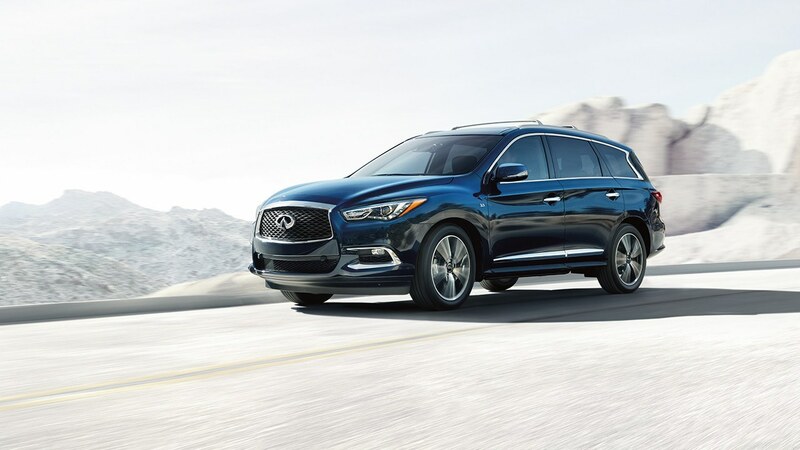 The 2018 QX60 3.5 AWD is powered by a 3.5-litre V6 engine capable of producing 295 horsepower and 270 pound-feet of torque. Its estimated fuel economy is 12.5 L/100 km in the city and 9.0 L/100 km for highway driving. 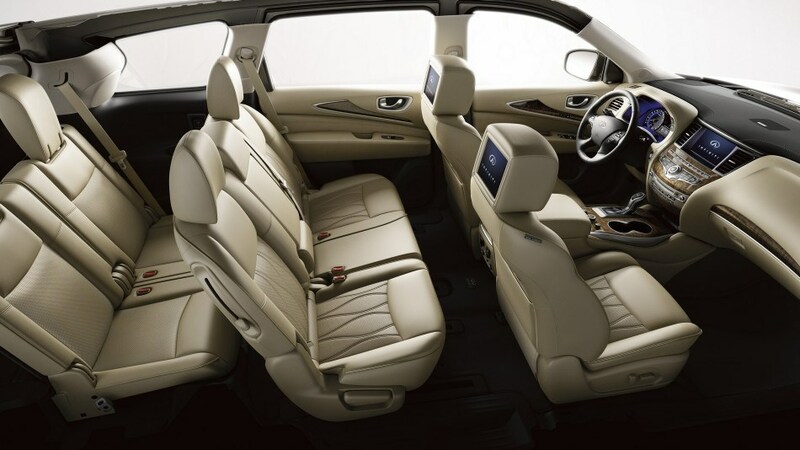 The QX60 3.5 AWD offers 4242 litres (149.8 cubic feet) of overall passenger volume and 447 litres (15.8 cubic feet) of cargo volume behind the third-row seats, as well as plenty of headroom and legroom for the driver and all passengers. Standard features for the 2018 QX60 3.5 AWD include 18-inch triple 5-spoke aluminum alloy wheels, power folding heated outside mirrors with integrated turn signals, chrome-plated wheel locks, a power sliding glass moonroof, leather-appointed seating, a power tilt and telescopic steering column, a leather-wrapped steering wheel, an eight-way power adjustable driver’s seat, heated front seats, an 8-inch WVGA colour touch-screen display, an Advanced Climate Control System (ACCS) with climate-controlled front seats, and UV-reducing solar glass. View our inventory. For additional features, you can opt for the Premium Package that includes a Bose 13-speaker Premium Audio system, a dual occupant memory system for the driver’s seat (includes outside mirrors and steering wheel), Enhanced Intelligent Key memory, a remote-start engine, reverse tilt-down outside mirrors, and rain-sensing front windshield wipers. In addition to the Premium Package, the Deluxe Touring Package includes 20-inch, 15-spoke aluminum-alloy wheels with 235/55R20 H-rated all-season tires, a hands-free lift gate, Maple Interior Accents, a Bose Cabin Surround 15-speaker sound system with digital 5.1-channel decoding, heated second-row seats (outboard only), and a second and third-row moonroof with power rear sunshade. The 2018 QX60 3.5 AWD has a 24-valve V6 direct injection engine with aluminum-alloy blocks and heads. The valvetrain is configured as a double overhead camshaft (DOHC), with 4 valves per cylinder and microfinished camshafts. The Continuously Variable Valve Timing Control System (CVTCS) optimizes the opening of intake shafts. In terms of the transmission, the QX60 3.5 AWD has an electronically controlled Continuously Variable Transmission (CVT), and manual shift mode offers sequentially selectable manual gearshifts. Additionally, Infiniti Drive Mode Selector allows the driver to choose between Standard, Sport, Snow, or Eco modes, and it controls throttle responses and transmission mapping. 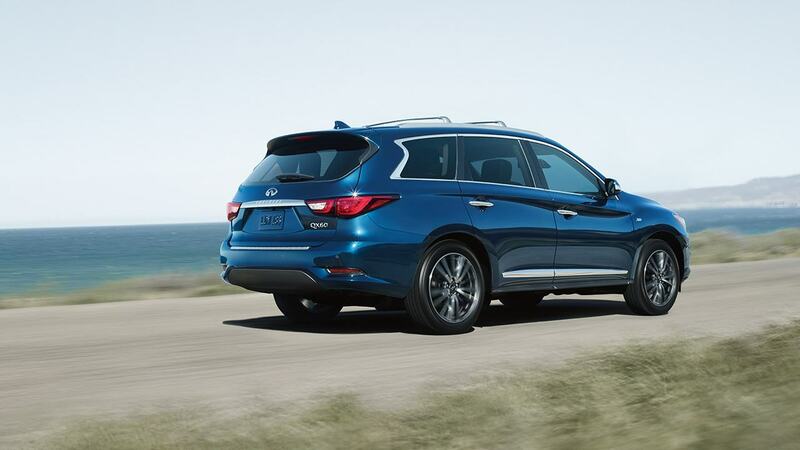 Finally, the 2018 Infiniti QX60 3.5 AWD has vehicle-speed-sensitive power steering and independent front and rear suspension with coil springs and stabilizer bars. In combination with a sensibly-designed cabin with many customizable features, you can count on a comfortable ride. 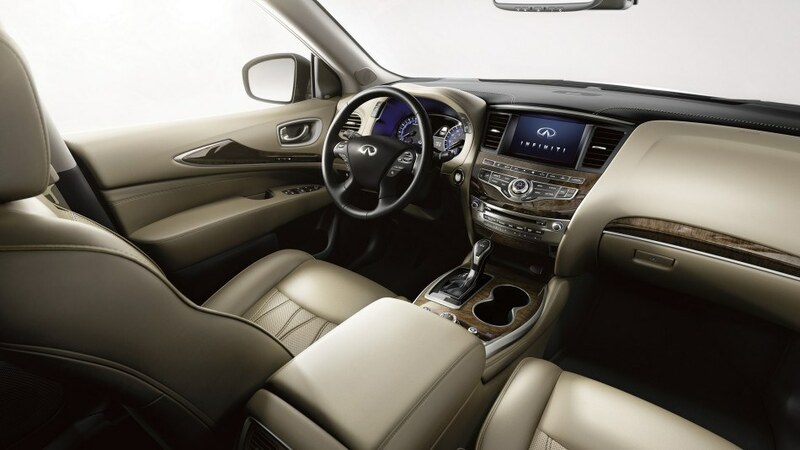 If you’re in the Markham or Toronto area, we invite you to book your test drive at Markham Infiniti today! View the 2018 QX60 3.5 AWD on Infiniti Canada.